Let the big dog eat! For me, these are the most fun clubs to swing. If you don’t feel the same way, then this summary is especially for you. The 1st thing I look for in a driver is something with a big ol’ forgiving clubhead, but not so huge that it looks like I could be ironing my clothes with it. I also am more partial to the traditional pear shaped clubs (see below) then the crazy geometric shapes, but that’s just my personal preference, some of my friends really love the new aerodynamic clubhead designs. 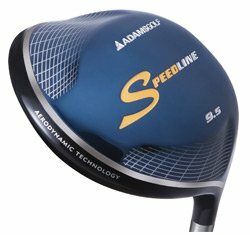 Aerodynamics – For those of you less interested in choosing the shape of your ball flight and just looking to hit it straight and long consistently, I would recommend trying one of these clubs shaped like a jet wing. My two favorites are the Taylormade Burner SuperFast and the Adams Speedline Fast 10. 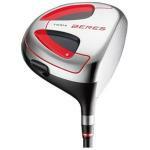 Adjustable – Another great advancement in driver technology is the adjustable driver head. I was late to get on this train, but now I’m leading the charge as well as most of the low handicappers that I play with. The most popular is the Taylormade R9. My good friend Brian bought one of these about two months ago. He adjusted the driver head slightly closed. When his typical fade became a draw he added 20 yards to his drives. (It is not something that I am really excited about, because he is hitting it further than me now.) I also like the adjustable Mizuno MP-630 FastTrack. Workable – Finally for those of you who like to make the ball talk and adjust your ball flight to the specific hole, you should stay away from the gargantuan driver heads. 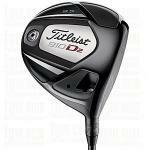 Titleist still is the best choice for playability. The traditional pear shape 909s are the way to go. The 909D2 is the bigger of the two at 460cc. The 909D3 has a smaller 440cc clubhead that provides for a lower launch angle and the ultimate in workability. I have to come clean: I've never been a big fan of the MachSpeeds. They have improved them, though. Both the square and round ones have bigger faces with more aerodynamic shapes. Nike has dialed down the extreme shape and made it a bit sleeker. I will say that Nike has improved this driver over last year's model. The face is larger, and the shape is sleeker. Having said that, it's like saying Toyota improved the Corolla. It's still a Corolla. I apologize, but there is something about the color scheme of this driver that makes me sing that song. PGA Tour Pro Phil Mickelson plays this driver, and Alvaro Quiros won the 2011 Omega Dubai Desert Classic with this bad boy. 'Nuff said, right? Do I really have to write a review? Nike drivers (going all the back to the Ignite) have really hot faces. The ball explodes off the face better than any other manufacturer I've seen. Attention Slicers: This is your driver. The nice thing about Cobra Drivers is they are reasonably priced. This game-improving S3 has all the modern technology to hit the ball long and straight without the prevailing price tags of most of the market leaders. 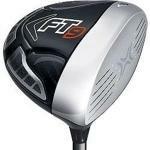 US Open Champion Geoff Ogilvy swings this driver. That's a pretty good endorsement. You might remember Geoff, the thin Australian that who has also won three World Golf championships. I’ve read that Honma drivers can add up to 50 yards to my tee shot. WOW! I also hear that Jack Nicholson, Roger Clemens, and Donald Trump play these sticks. Guess I’m going to have to try ‘em. Anybody have Jack’s number? "May I have the password, please? If you want to come in here, you are going to need three forms of I.D. and have at least two notarized signatures from accredited Japanese dignitaries." I like Tour Edge products because they are usually on the cutting edge. With this Tour Edge XCG-4, I'm not seeing any new material, just a different combination. The head is made out of titanium, carbon fiber, and tungsten. Titleist is getting on the adjustable club bandwagon. And it's about time. The trend towards longer, straighter drives consists of tweaking your driver to each individual golf swing. I give you the 910 D2. I can't believe my eyes. 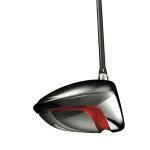 TaylorMade's new 2011 driver is going smaller! What happened to the modern day adage "bigger is better?" I just assumed by 2011 we'd have clubheads about the size of microwave ovens. Callaway and Lamborghini (yes, that Lamborghini) have joined up to bring you a new material. It's a forged composite. It's the lightest, strongest, most precise material used to date (in a golf club or an automobile). This Cobra ZL is a sick long! In the pursuit of more yards, Cobra uses all the latest technology to build this monster driver. Let's take a look at what they've done. This Mizuno MP 630 Fasttrack is another one of those adjustable drivers. It has the most options of any of the drivers I've seen so far. 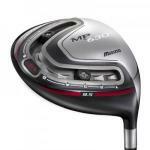 With ten different positions for two 8-gram weights, the MP630 has 45 different trajectory settings. Wow! This is a big freaking driver that hits the ball a mile. Now that club makers have maxed out the size of our drivers, the latest trend is aerodynamics. How else are we going to add clubhead speed to those toaster ovens on the end of a stick? Vroom Vroom. You're looking at a Ferrari. This bad boy looks like it can really go, too! The question is: can you handle it? This Callaway Diablo Edge Tour Driver face was formed using an "acid chemical reduction" process. Wow! No wonder they call it “The Devil! Talk about hi-tech — I wonder how many scientists it took to build this thing. This Cobra S2 Driver has a huge, hot face! 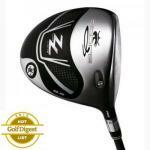 The driver is specifically designed to give you the same ball speed across the entire giant clubface. Two of the best golfers that I play with, both bought one of these Ping G10 drivers last year. Joe and Nick are both single digit handicappers, that have very quick swing speeds and they hit the ball a mile.